"Yeah, "oh sh!t." Took a hard, hard, violent fall. Kind of pinballed down. Hit a lot of railings, broke a lot of sh!t. I'm not going to say I survived, I'm going to say I thrived. I met a dolphin down there. And I swear to God, that dolphin looked not at me, but into my soul, into my g--d--n soul, Annie. And he said, "I'm saving you Megan." Not with his mouth, but he said it, I'm assuming, telepathically. " OB care in general involves a lot more elements. Synergies, and practices you don't want to randomly change, psychological elements. The demand for clear evidence in clinical trials, for everything, just seems out of place. Latina Christiana. On its own there isn't enough practice, but ds practices conjugations or declensions each day and we made a memory game for vocab review. All of the kids enjoy playing the memory game so maybe they'll be ahead of the curve when they start formal Latin study. Miquon. This is great for my K and 2nd kiddos. Cuisenaire rods are fun, and the worksheets are uncrowded and unintimidating. History of US by Joy Hakim. My fifth grader loves this. I love that he loves it. ? I think it's a little busy with all of the side bars, and I'm not crazy about the tone, but it's written to kids so that's not unexpected. Handwriting without Tears cursive. All of my kids are doing this. They are all doing great and are proud of their pretty writing, so that's a win. Ellen McHenry The Elements + Theodore Gray's Elements book. We all do this together, and the kids absorb the age-appropriate amount of knowledge. Torchlight K. Like a previous poster said, this has turned into an expensive reading list. We do like the books, and will continue to read them. We don't use the schedule or the assignments. Beast Academy. It was a hit last year, so I don't know what happened this year. Oh well. We'll try again in the spring or next school year. MCT language arts. I so wanted this to be a hit. I think that I need to accept that this is not going to work for my 5th grader. Maybe it will work for the next kiddo. I didn't use to. Then i took an Orton Gillingham class. Now I over use it... replace w with wh in other words. All of my in laws use it correctly. I have heard many homeschoolers say that it's up to their kids to learn something, by going to Kahn Academy or researching on the internet. It is almost said in a boastful way, like "Why are you helping your student? They should be learning this on their own." This sounds like my high school algebra 2 teacher. The class started with a full roster of 28ish students and by Christmas had about 12. At that point the administration refused to transfer out any more students. Why was he still teaching? His sports teams won state championships. I wouldn't say it is easy but for many of us who have been forced into homeschooling not having to deal with the school any more makes it seem easier than school. I really wasn't aware how stressed we both were until there was no more school. It is going to get harder as he gets older but our house is a lot happier. I read a couple of ebooks saying how easy it was and that "most homeschooled kids have an online teacher" both of which confused me as I had been hanging round here for years. I wasn't forced into homeschooling, but after watching what my friend has gone through trying to get appropriate education for her son who has many of the same difficulties as my eldest, I can't believe that public school would be any easier. Definitely a choose your hard situation. That is ridiculous and shows that they don't understand that learning a skill is not the same as looking up a tidbit of information on the internet. They would not expect their kids to pick up a violin and self teach from internet videos. I can't believe how many requests I see on fb hs groups for just this type of program. Awwwwwwwwwwwwwwwwwwwwwwwww. Super cuteness, warm and fuzziness all rolled into one. If you hold another baby next Sunday, what will you bring home next? ? 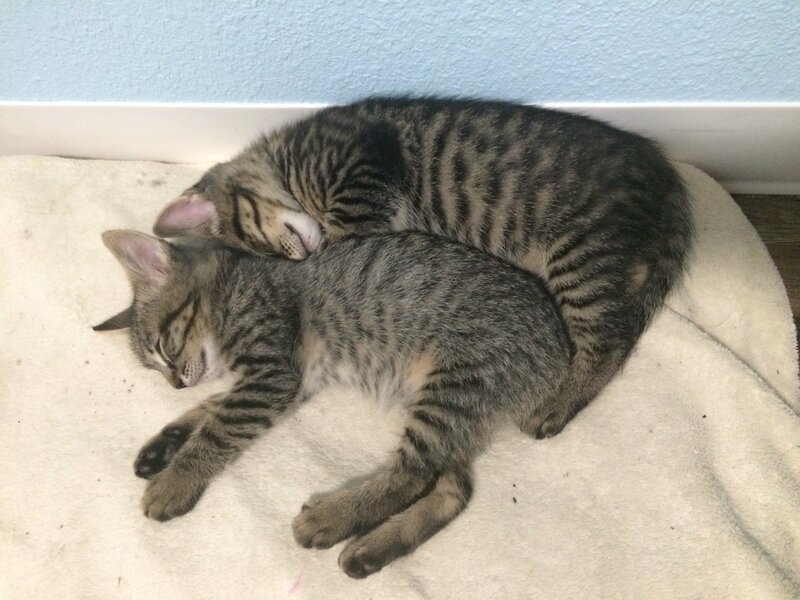 On Tuesday I bring home these cuties.